It’s estimated that 50% of people snore at some point during their life. It can be a sign of sleep apnea, a more serious, but also common condition. Both are treatable at Crabtree Dental in Katy. 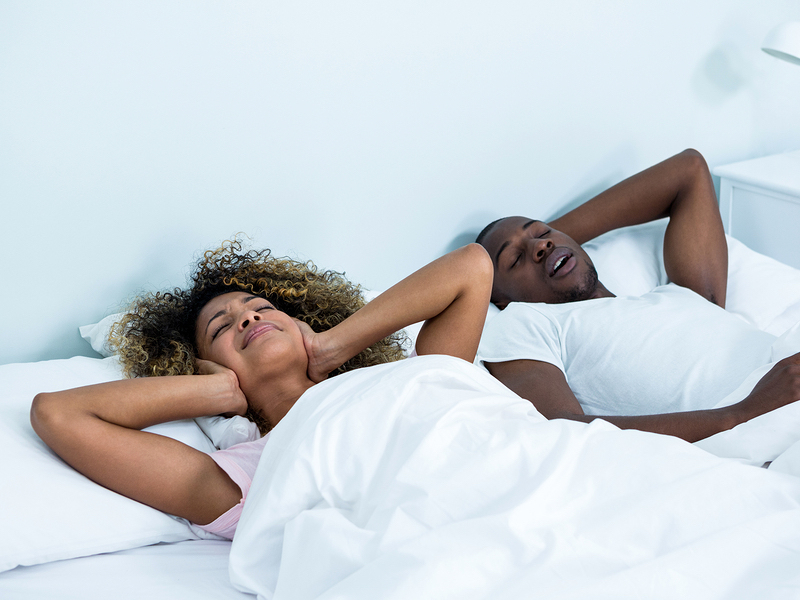 Snoring and sleep apnea are one and the same, but they are related. Many individuals who snore also have sleep apnea. But there are important differences. People who suffer from sleep apnea actually stop breathing. This can happen many times during the night. When that happens the brain is starved of oxygen, and serious problems can follow. Patients with sleep apnea are at risk for heart problems including high blood pressure, heart attacks, and strokes. They are also at risk of developing Type 2 diabetes, and nonalcoholic fatty liver disease. One of the most common problems is daytime fatigue. This makes ordinary activities overwhelming. Untreated sleep apnea lowers the quality of life. Sleep apnea doesn’t just affect the person with the condition. Their bed partner is also deprived of restorative sleep and, as such, is at risk of health complications. Wondering if your health issues are a result of sleep apnea? If you suffer from daytime sleepiness, or your partner says you stop breathing temporarily during sleep, see your doctor immediately. If you want to start out with a specialist, ask your primary doctor for a recommendation. In the U.S., the American Board of Sleep Medicine certifies physicians who treat sleep disorders. At Crabtree Dental in Katy, we can diagnose sleep apnea and develop treatment. We also offer treatment for snoring. Other services include general and family dentistry. Call us for an appointment today.